Some lucky Lady will win this outfit and black snake skin boots, Friday evening at Gunslingers Saloon! Denim Darlin Designed by SyN and Black snake skin Boots designed by Aqua. First TEN people there that remain for an hour, will get a free shirt!! 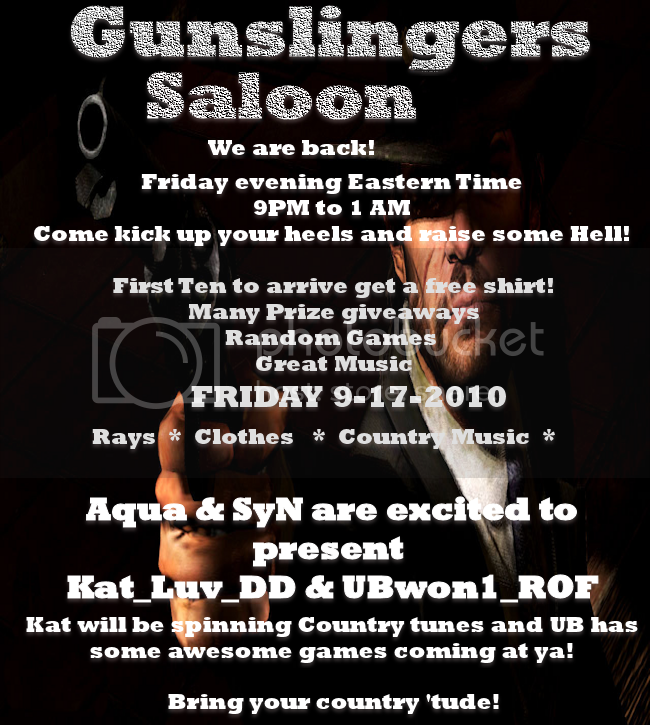 Kat & UB have lots of country tunes and fun games for all. WIN Rays & Prizes!